904dDavid Purdum and Don Van Natta Jr.
DraftKings and FanDuel, the two dominant players in the daily fantasy sports industry, are finalizing terms of a merger, multiple sources with knowledge of the discussions told ESPN on Friday. The long-rumored deal was described as "imminent" and could be announced as early as this week, after details are finalized. Prior media reports in recent weeks said the companies' merger was imminent, but sources told ESPN that the companies' financial settlements this week with the New York attorney general's office were a key obstacle that needed to be cleared. The sources said some of the major merger details discussed this week included the newly joined company's executive leadership, the name of the company, whether one site or two will be used, and where the company headquarters will be located. FanDuel has offices in New York and Scotland, and DraftKings is based in Boston. One highly placed source told ESPN that the recent merger discussions called for the two rivals to share roughly equally the revenue and expenses of the newly tied-in company. "As we have stated previously, a potential combination would be interesting to consider," a DraftKings spokesperson told ESPN. "However, as a matter of policy, we don't comment on rumors or speculation, and there can be no assurances at this time that any discussion about a combination would result in an agreement or merger." A FanDuel spokeswoman declined comment. Bloomberg is reporting that DraftKings CEO Jason Robins will become the CEO of the new DraftKings-FanDuel company. FanDuel had no comment on the report. ESPN has reached out to the DraftKings for comment. FanDuel CEO Nigel Eccles and Robins have had a famously frosty relationship, which many observers have pointed to as a holdup to a merger. 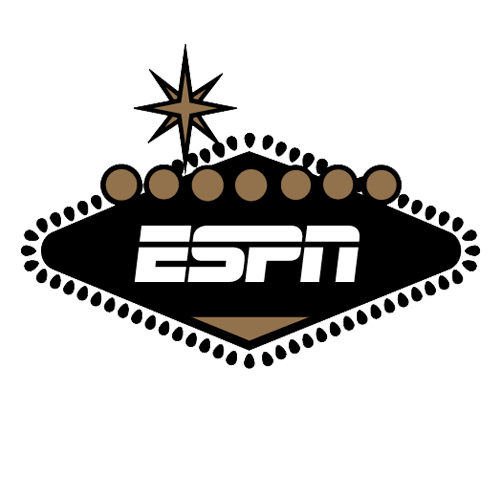 But Eccles told ESPN over the summer that his relationship with Robins had improved, as the companies worked together to fight challenges from regulators and lobby for legal clarity in states. Each has publicly acknowledged merger discussions, which, according to sources, have been taking place since January. Combined, the two firms cover 90 to 95 percent of the daily fantasy market. Legal experts have questioned whether a merger would be blocked by regulators such as the FTC because of the two companies' dominant market share. "There are of course good arguments about why such a merger is in fact in the interest of the consumer: pooled liquidity, higher prize pools, etcetera," said Jeff Ifrah, a prominent gaming attorney and founding partner of Ifrah PLLC. "But that has not always been enough to shut down FTC scrutiny." Ifrah added that the companies likely will need to answer questions about whether consumers under the joined company would have to pay higher prices or would receive a lower-quality product. In late August, ESPN's Outside the Lines reported on the daily fantasy industry's struggles after DraftKings and FanDuel blanketed the airwaves a year ago with a $750 million advertising and marketing blitz. The ad buys seized the attention of New York Attorney General Eric Schneiderman and other federal and state authorities across the country. Ever since, both companies have been saddled with tens of millions of dollars in legal fees and lobbying costs, putting their financial health into question. The New York Times reported last week that FanDuel recently laid off 60 workers and that both companies have struggled to meet "their day-to-day obligations." Both companies are months behind on paying vendors, lawyers and lobbyists, sources told ESPN. This week, DraftKings and FanDuel agreed to separate $6 million settlements with the New York attorney general over deceptive, misleading advertising. In the settlement agreement, Schneiderman's office said it considered the "financial condition of the companies in determining the amount and schedule for the settlement payments." Combined, the companies processed $3 billion worth of contest fees in 2015. DraftKings' valuation was estimated at nearly $2 billion in July 2015, after a $300 million funding round, but it has since been cut dramatically. In September, DraftKings announced a $153 million round of debt-to-equity funding with Revolution Growth, a venture capital firm co-founded by Ted Leonsis, owner of the Washington Wizards and Washington Capitals. FanDuel also raised $55 million in a loan from investors in recent months, which also will be converted into equity, The Wall Street Journal has reported. After the tumultuous year, the daily fantasy industry eyed the NFL football season as an opportunity to get back on track. DraftKings and FanDuel are marketing the game to new players by shifting focus from the financial part of fantasy sports to its social aspects. DraftKings said participation in its newly enhanced offerings that allow friends to compete against friends in private leagues were up threefold from last season. The company also pointed to new sponsorships, including with Paramount Pictures, which sponsored DraftKings' free games, another new emphasis this season.